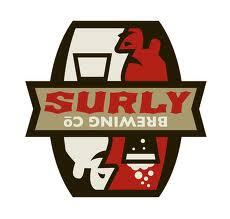 Saw the following information on Surly’s facebook page! Hopefully a sign of things to come! Looks like a must-attend event if you are in the Des Moines area. Hopefully I can make it! We’re road tripping to Iowa and we’re bringing beer! On April 3rd, 4-8 pm, we’ll be hanging out and pouring beers at el Bait Shop in Des Moines. We’ll be bringing: Furious, Hell, Cynic, Bender, Cacao Bender, Smoke, Blakkr, Mild, Darkness & Pentagram. BUT we’re NOT distributing broadly to Iowa (yet), just sharing beers for the night with our neighbors to the south. We’ll add more details and a FB event soon.